1. CSP 1100(C) is effective upon receipt. 2. CSP's 888, 889, and 1600 and associated publications shall not be used until the instructions contained herein have been read and thoroughly understood. 3. This publication is distributed to actual and potential holders of CSP's 888, 889, 1600 and associated publications. 4. CSP 1100(C) is a CONFIDENTIAL registered publication and shall be handled, stowed, transported and accounted for in accordance with the current edition of the Registered Publication Manual (RPS-4). This publication shall be destroyed by burning thirty (30) days after the end of its effective period. It shall not be carried in aircraft for use therein. 5. The use of this publication by enlisted members of Coding Boards, and by the authorized ECM repair personnel of ECM Repair Facilities is authorized. In such cases, the publication is to remain in the potential custody of a commissioned officer. "It is mutually agreed that the ECM-M134C will not be placed ashore in foreign territory except at such places where armed personnel of U.S. forces are stationed in sufficient numbers to properly safeguard the physical security of the machine. 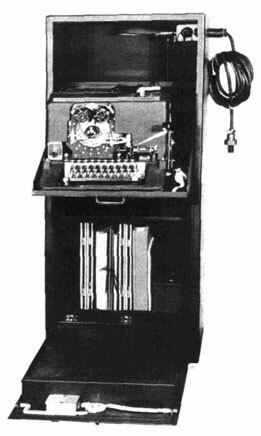 "The Army or Navy may make the machine available to the Allies of the United States if the machine is accompanied by a Liaison Officer and Communication Group. It will be the duty of the Liaison Officer to prevent the viewing of the machine or its operation or associated equipment by other than authorized personnel of U.S. armed forces. 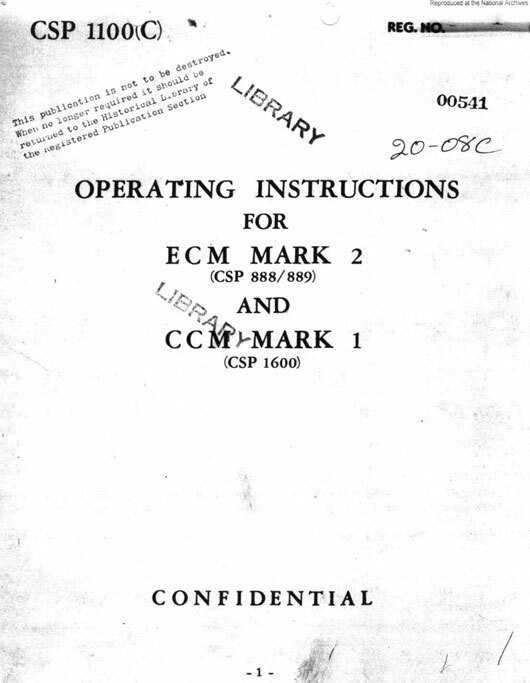 "The U.S. Army and Navy mutually agree that they will regard as secret information to be divulged only to the armed forces of the U.S. or to any U.S. citizen required to possess this information in the interests of the United States, any details concerning the ECM-M134C including rotors, wiring diagrams, keys, keying instructions and operating instructions. "If at any time either the Army or the Navy considers it necessary to deviate in any way from this policy, the one shall fully inform the other of the facts and circumstances and the change in policy, if any, shall be by joint agreement." STRICT COMPLIANCE WITH THIS POLICY IS DIRECTED.